In the mid 1960’s Reverend George Howson, the then Vicar at St Chad’s Church, Over, was concerned when the plans to develop Winsford as an overspill area for Manchester and Liverpool were finally passed. He foresaw the possibility that the essence of the old salt town of Winsford would be radically altered and the history lost forever. Getting together with a group of local like-minded people he formed an informal group who discussed what, if anything, could be done to preserve the history and identity of the town. In January 1965 he wrote a letter to the local paper outlining their aims. “Our ultimate aim is to compile as complete a picture as possible of the areas of Over, Wharton, Whitegate and Little Budworth, but our first task will be in the nature of a first-aid or salvage operation to collect as much information as we can before the character of our town and its surroundings changes”. He went on to appeal for information and the loan or donation of photographs, maps and articles that would be of interest. In February of the same year Winsford Urban Council General Purposes Committee agreed to give the group every practical assistance in compiling a history of the area. 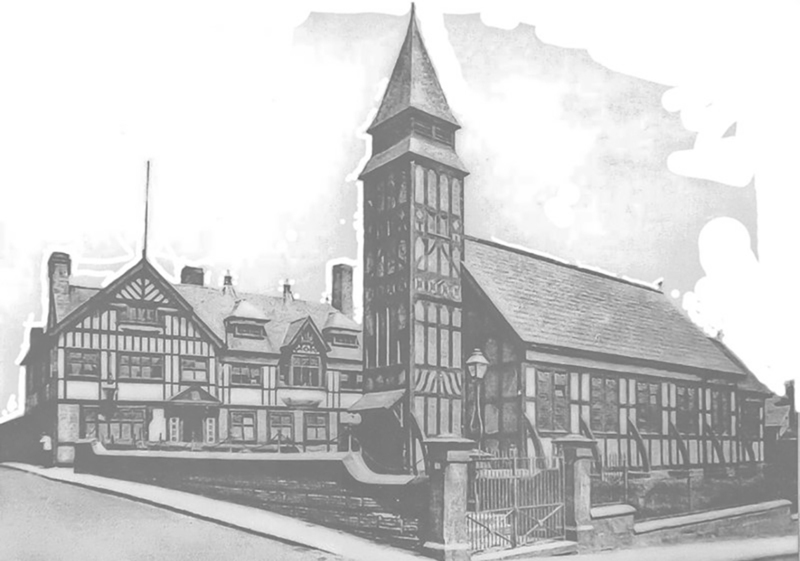 In 1966 the group formally became the Winsford Local History Society. They held their first public meeting in September of that year in the Council Chambers. In November of the same year the Society adopted a formal constitution and was given permission to use the town crest on its official notepaper and publications. It was decided that the President would be the Chairman of the Urban District Council for the term of their office. The first Chairman was Rev George Howson and the secretary was Mrs Margaret Thomas. Mrs Thomas remained as secretary for the next 25 years devoting many hours to the society. Over the years many interesting photographs, books, articles and memories have been added to the collection. Not least of these are the publications produced by the Society after many hours of hard work and extensive research. The first publication was in 1972 and was called the Winsford Record. Further Winsford Records were published then, in autumn 1978, came the first of the Winsford Local History Society Newsletters. These differed from the Record in that they contained several shorter articles. The Society continued to publish its twice-yearly newsletter every spring and autumn until 1987. But they still struggled to maintain their membership and in the 1980’s, despite the success of their publications, they were the smallest local history society in Cheshire. new secretary Mrs Mary Curry to rekindle interest in the past in an age of technology and the first web page was launched. This brought in enquiries from all over the world and membership started to climb. Last year, with the help of a grant from Winsford Town Council, members set to and started to catalogue all the archives, with a view to making as many of them as possible more readily available to the public. Currently several members are in the process of transferring the collected information into a searchable database and making it available on the web site. It is a long and laborious job but it is hoped it will be completed in the not too distant future. Meanwhile members are working hard to bring the past to light and to encourage more people to take an interest in the town in which they live and the fascinating history which surrounds them. The new programme is available at Winsford Library, on the Society web site www.winsfordhistorysociety.co.uk, on the library and the Town Council web sites. Anyone wishing to attend can just come along to the meetings and will always be made very welcome.